Hailing from Baltimore, Maryland, the Baltimore Orioles are a member of the Eastern Division of the American League of the Major League Baseball. Currently owned by Peter Angelos, the team can trace its history back to the Milwaukee Brewers that began in 1894. With over 100 years of history marked by both successes and failures, the team is a delight to watch live. Get your Baltimore Orioles tickets and be there to support your favorite team in orange, white, and black. The Baltimore Orioles has seen and done a lot since it came into being as the Milwaukee Brewers. It was present as a member of the American League (AL) when the young league started testing its wings in 1900. Milwaukee Brewers moved to St. Louis in 1902 and became known as the Browns. The team was quite popular there despite delivering mediocre performances. In 1910, the team was pushed into unwanted limelight due to the bribing charges set against it coach Harry Howell and catcher-manager Jack O’Connor who were eventually banned informally from baseball for life. 1916 saw the team being sold to Phil Ball, a cold-storage magnate, who invested considerably in the team to make it more competitive. Unfortunately, he made some blatant blunders like firing Branch Rickey, a genius in devising plans, due to ego problems. The across town Cardinals benefited extensively from such mistakes and gained much more popularity in drawing crowds. The history of the Orioles in St. Louis was marked by many ups and downs but people there still remember the team fondly; after all, it spent more than 50 years in St. Louis. The Baltimore Orioles began its career in Baltimore with a novel start; seventeen players were traded with the New York Yankees including some of the top performers from the predecessor Browns. This definitely played an integral role in revitalizing the team; the debut home opener held in the Memorial Stadium was a complete blast as the team slaughtered the Chicago White Sox in front of an exuberant crowd of 46,354 fans. This was followed by a lukewarm period and the team escaped the AL cellar by just 3 games. Fortunately, Paul Richards came on board as the general manager and infused the team with discipline and patience and sowed the seed for the eventual Oriole Way. He inducted fresh talent in the team like Pete Ward, Steve Barber, and Ron Hansen, to name a few. The tireless work of Richards paid off as the team slowly but steadily climbed the rankings and started showing promise for winning championships. 1966 was one of the greatest years for the Baltimore Orioles as it clinched not only the Pennant but also the World championship by taking the crown from the reining champions Los Angeles Dodgers. They were simply outstanding and the great win paved the way for a glory period for the team. 1969 saw the team winning the first-ever American League’s East Division title following it by grasping the AL Pennant; unfortunately, they shockingly lost to the New York Mets in the World Series. However, they came back the following year and took hold of the 1970’s World Series by overpowering the Big Red Machine of the Cincinnati Reds. 1971 saw the energetically disciplined team seizing another Division title; however, hearts were broken when they lost the World Series to the revitalized Pittsburgh Pirates. The following years resulted in several lineup changes in the team; old players were exchanged for new budding talents like Bobby Grich. The rankings slightly dwindled but the team didn’t lose hope and came back with a bang by winning the Division title in 1979. In 1983, they won the Pennant and the World Series. All in all, the Orioles had a triumphant time from 1966 to 1983. The next great victory came after more than a decade in the form of the East Division title in 1997 by defeating the Seattle Mariners. Although, the Baltimore Orioles still have to regain their past glory but they’re definitely a powerful team on the field. It’s exhilarating to see your favorite stars in action and sing enthusiastically "the Star-Spangled Banner" with the rest of the raving fans. Whether they’re playing at home in the majestic Oriole Park at Camden Yards or away, the team always delivers a nail-bitingly exciting performance so get your Baltimore Orioles tickets and have a fantastic time with your entire family. Q:How can I order baltimore orioles tickets online? A:Baltimore orioles Tickets can be ordered online by following easy instructions mentioned. Q:Can I order baltimore orioles tickets from you anytime soon? A:Sure, you can order baltimore orioles Tickets from us right away! Q:I am in search of cheap baltimore orioles tickets. Could you guide me please? A:Baltimore Orioles Tickets are readily available on our site at very affordable rates. Have a look! Q:I heard you have Baltimore Orioles Tickets For Sale at cheap prices here. Is that right? A:Absolutely! 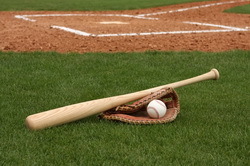 We do have Baltimore Orioles Tickets at cheap prices available on our website. You can look through our page and order your tickets from there.